We are deep into late summer. Autumn sneaks just around the corner, teasing us with amber and crimson leaves that dangle from Sonoma County’s twisted old trees. Fall has come early this year, and I couldn’t be happier. 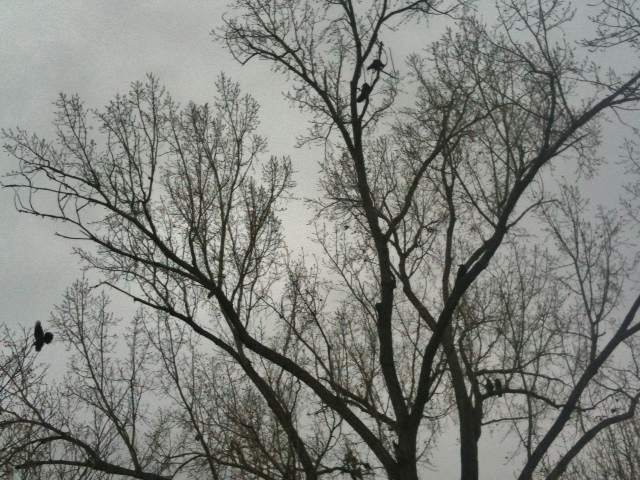 I love this time of year; I love autumn and everything it embodies. But, before I cast my farewell kisses to our beloved sweet summer, I would like to share one of my highlights from the season of the sun. 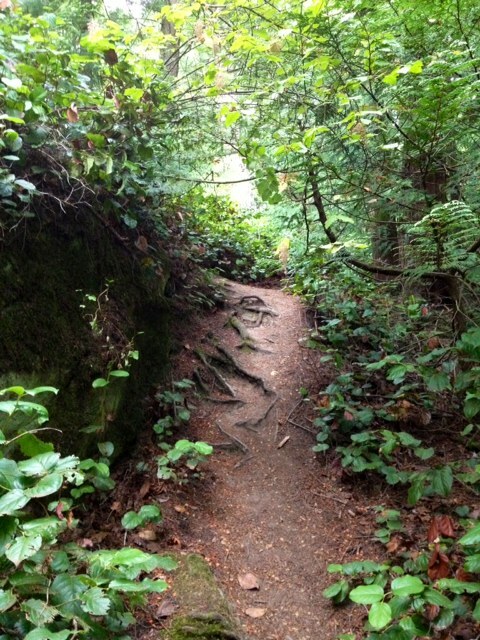 In August, near Lammas, I traveled to Seattle to visit friends and family. 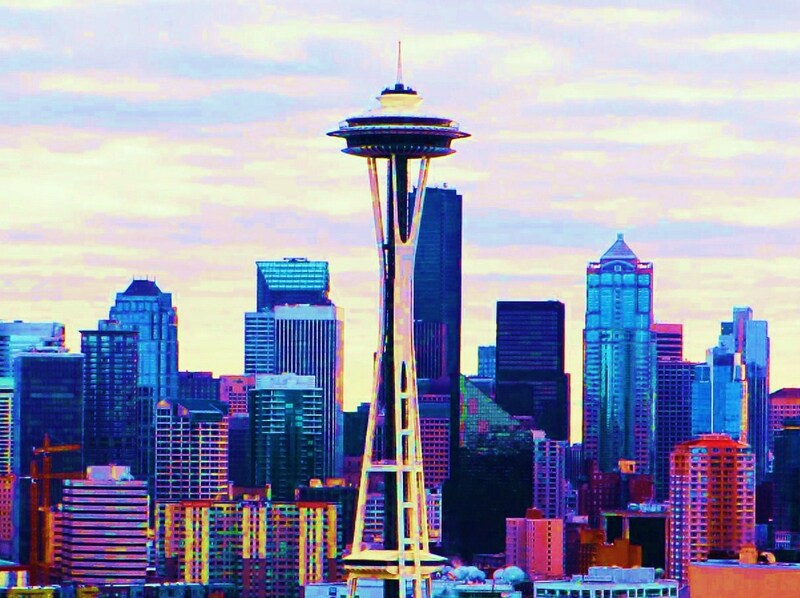 As you may know, I used to live in Western Washington, in Seattle and in Bellingham. 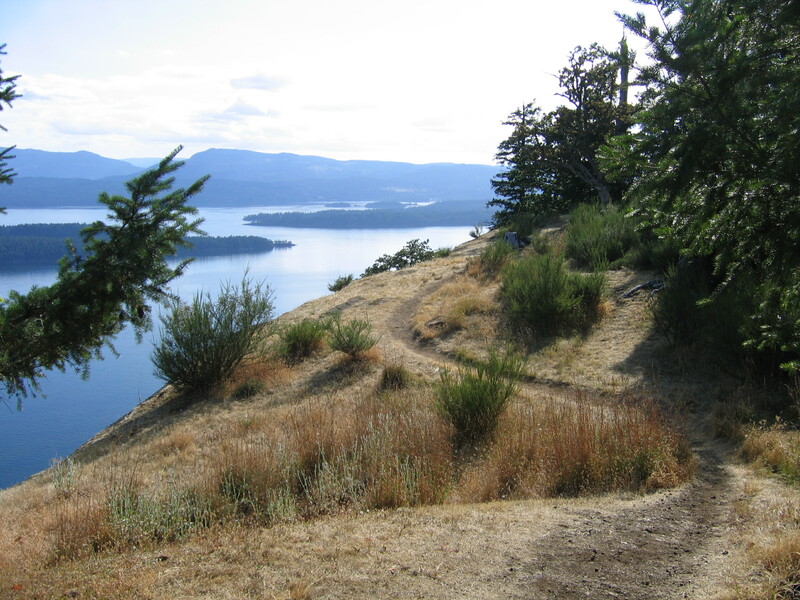 I love this entire area, for it brims with woodland magic, luscious gardens, deep azul waters and the mystical, tree-clad San Juan Islands. The whole area feels like the womb of Mother Earth- vibrant, abundant, beautiful and pregnant with life. 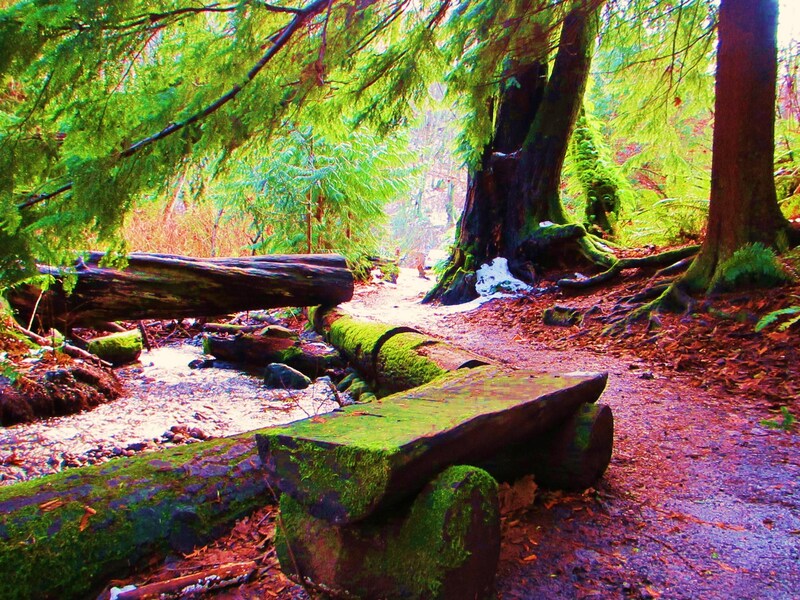 My time spent in this area was chock full of raw food gatherings, spiritual events and forest frolickings- everything I love! 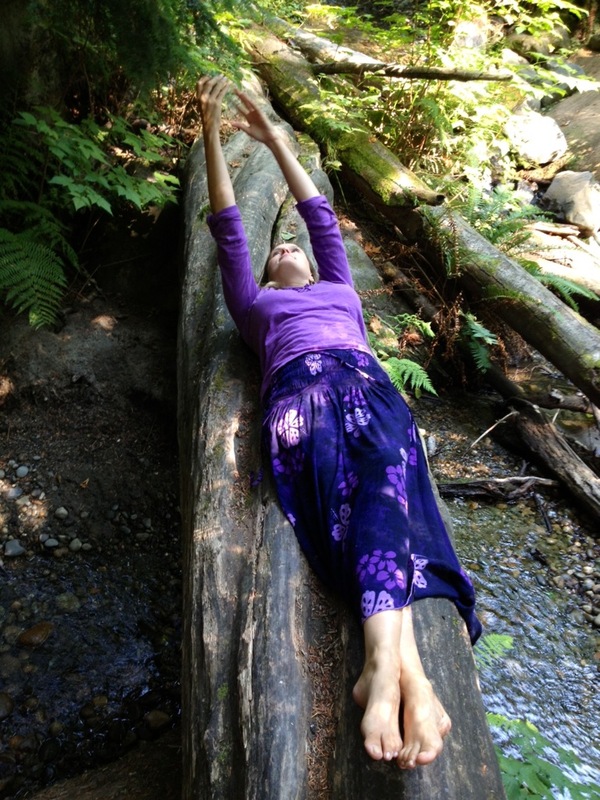 Here is a photo journal, a small taste, of my time in the Pacific Northwest with my spirit sister, Giacinta. 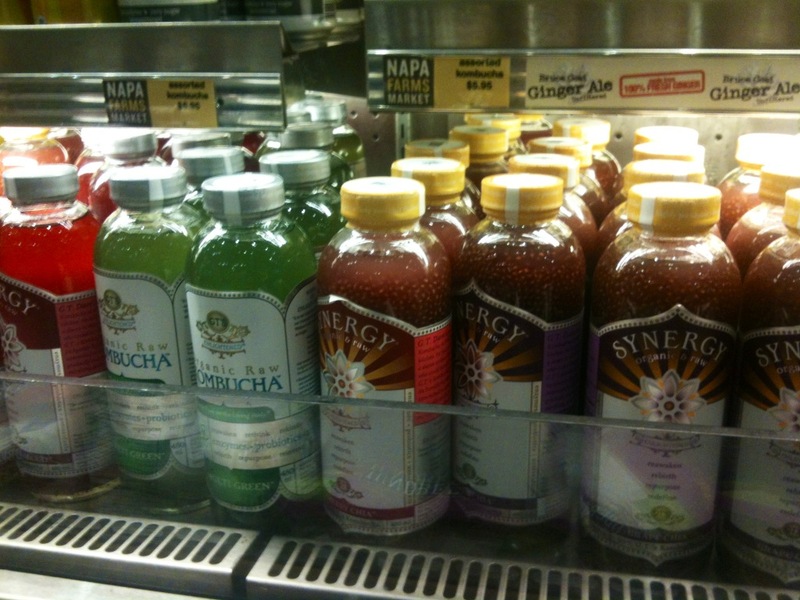 First off, I’d like to say thank you to the San Francisco International Airport (SFO) for offering raw food snacks. 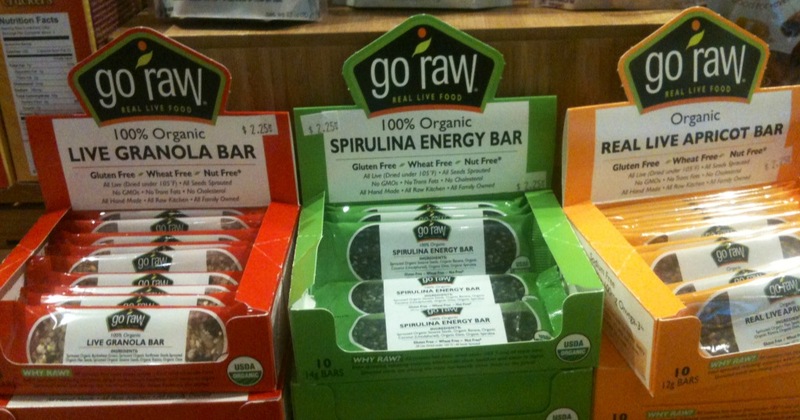 I found vegan raw bars and kombucha while waiting for my plane. A great way to start my travels off right! 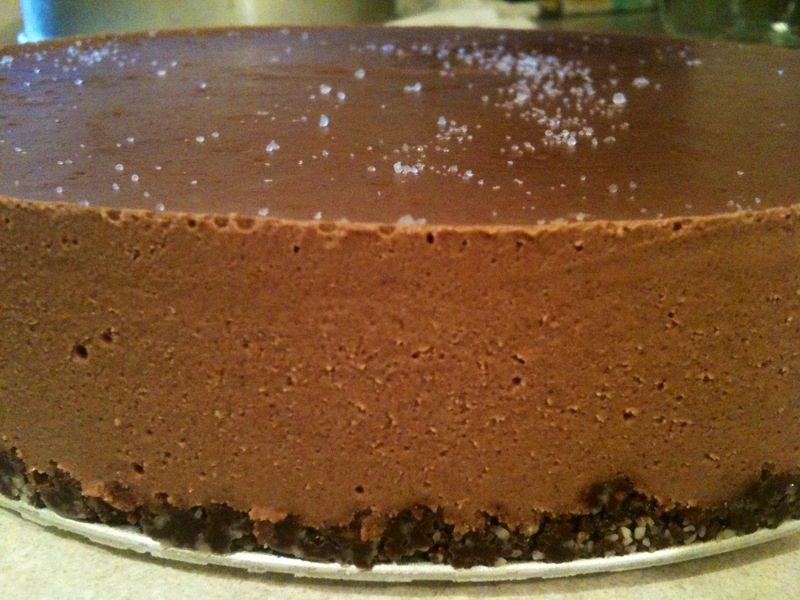 The original recipe for this torte can be found HERE. We made the exact recipe, tasted it, and decided it needed more. 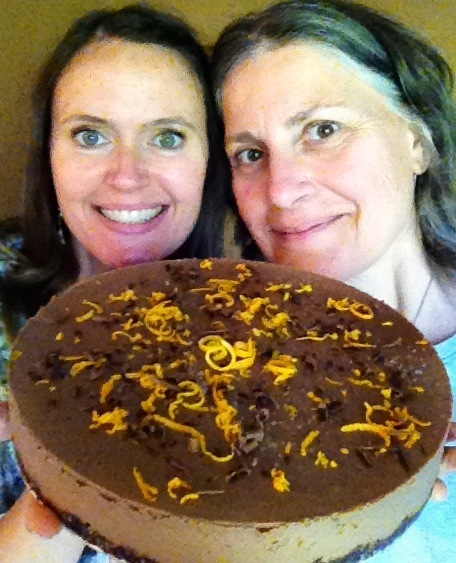 To this recipe we increased the raw cacao then added carob, cinnamon, cayenne and vanilla for depth of flavor. We also exchanged the agave for maple syrup. In hindsight, dates would have been the best choice for sweetener. 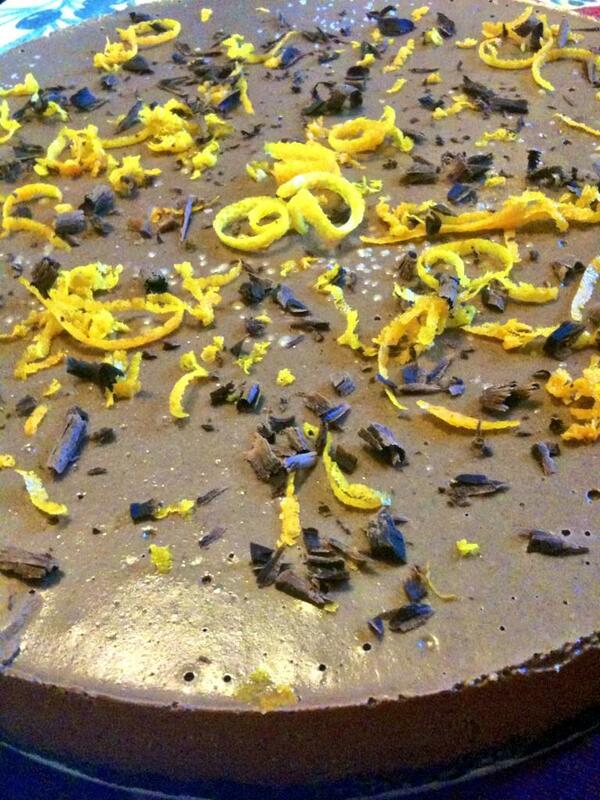 At some point in the future, I will remake this torte and post a proper recipe. Until then, know it was delicious and made a grand appearance at a few raw food gatherings with some very happy friends. 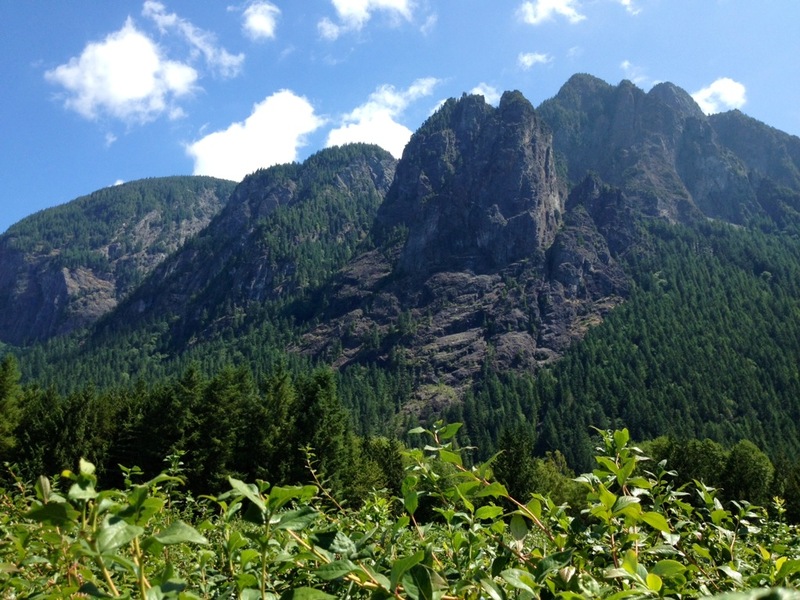 During one of our in-state journeys, we made our way to North Bend to pick fresh organic blueberries from Bybee Farms nestled at the base of gorgeous Mount Si. (Pictured Below). 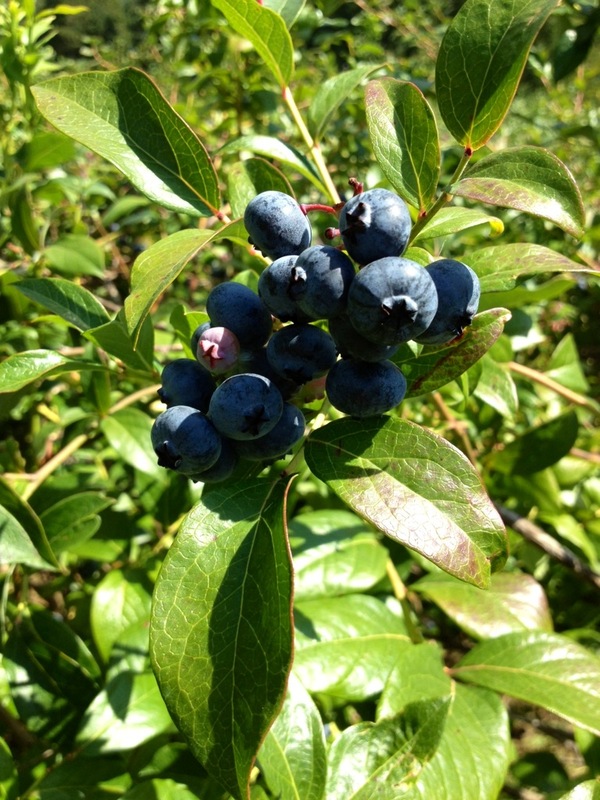 If you are in the North Bend area and would like to learn more about how you can pick your own berries, click HERE. This day was one of my favorite days, a highlight indeed. 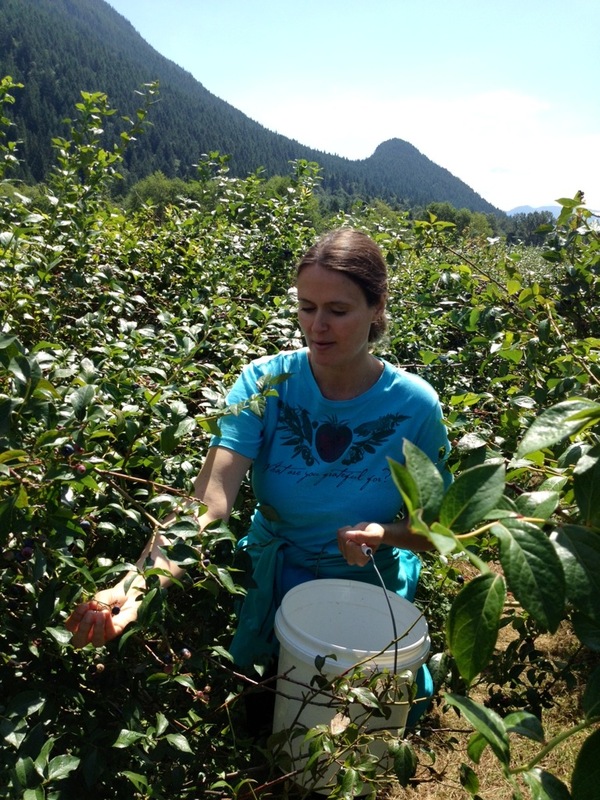 I was surrounded by rows and rows of blueberry bushes and clear skies filled with sunbeams, bumble bees and the sweet scent of fruits and leaves all coddled by the majestic Mount Si. It was incredibly soul-filling! 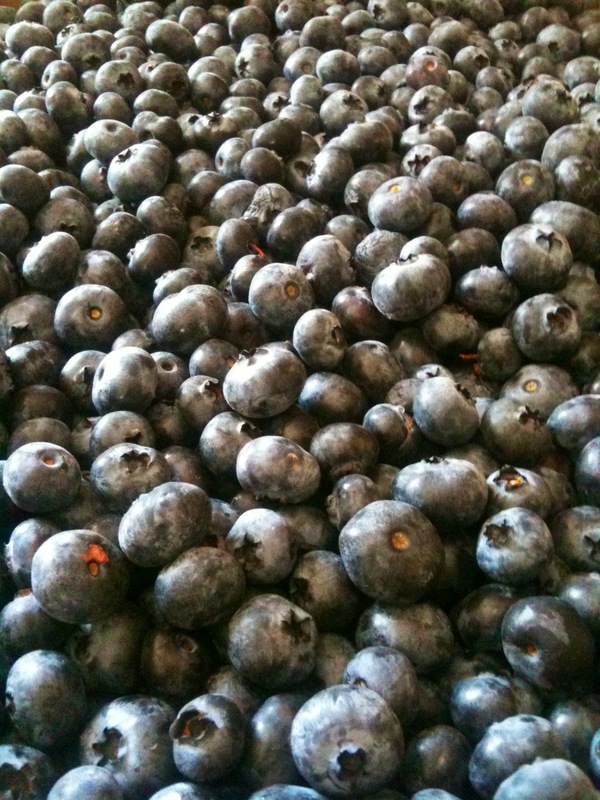 As you can imagine, we ate blueberries for days. 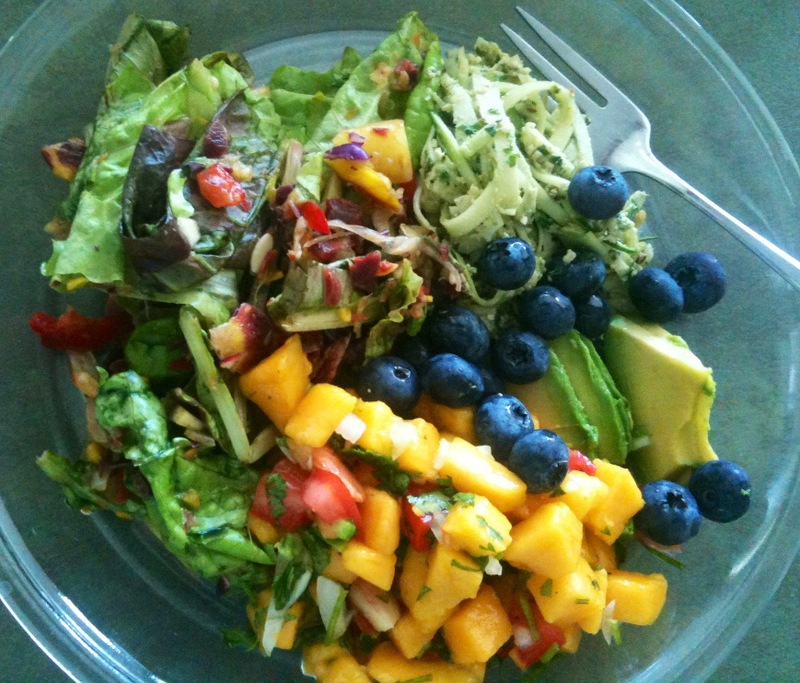 This is one of the meals we enjoyed among friends, each one of us contributing fruits and vegetables for this shared offering of fresh picked garden greens, blueberries, mango salsa, avocado and zucchini in pesto. Delish! We were serendipitously blessed by a full moon during my time in Seattle. I love full moon energy and love to channel this powerful force during my meditations and healing Reiki sessions. With this being said, we participated in a full moon group meditation to honor Mother Moon in the height of summer as symbolized by my favorite flower, the sunflower. 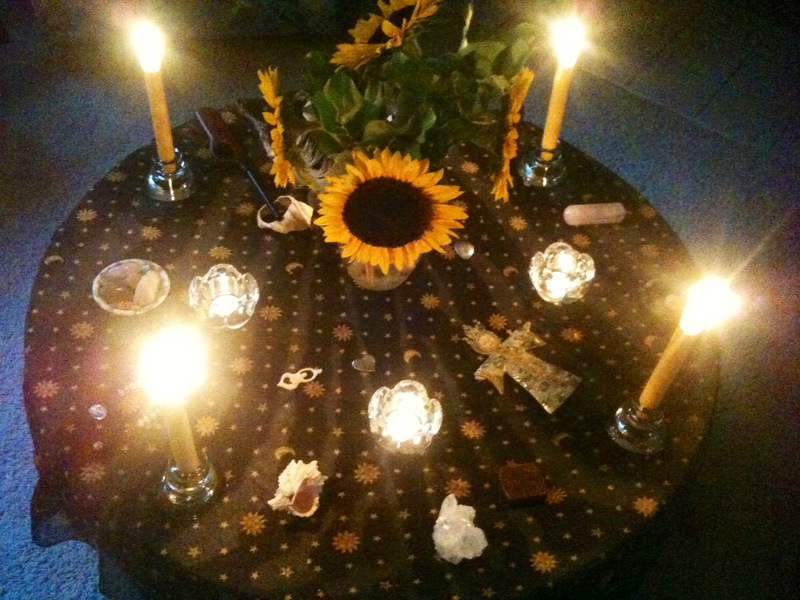 This is the candlelit, celestial altar that centered the meditation. Another amazing evening we shared, and one of my top highlights, was a shamanic full moon drum circle at New Earth Farm in Redmond, WA. 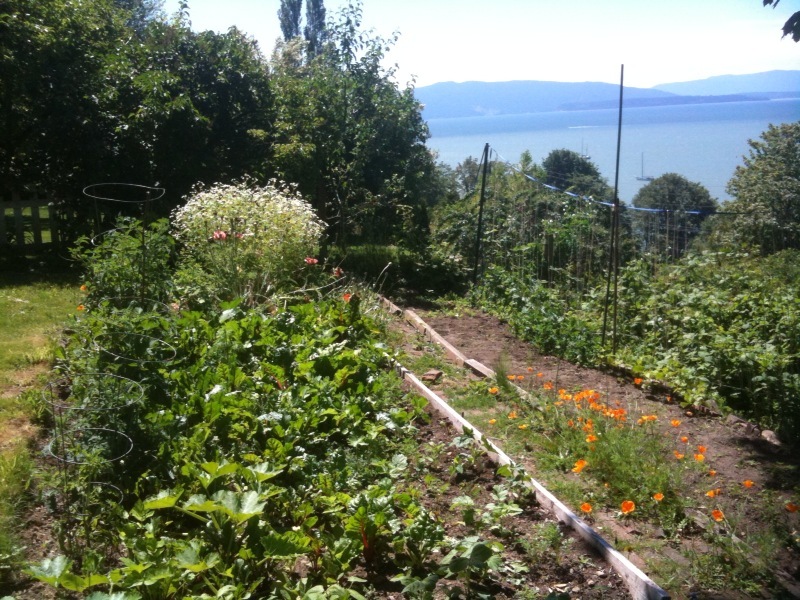 (Click HERE to learn more about New Earth Farm) This drum circle took place on private property that held an organic garden and lots of deeply sacred energy. 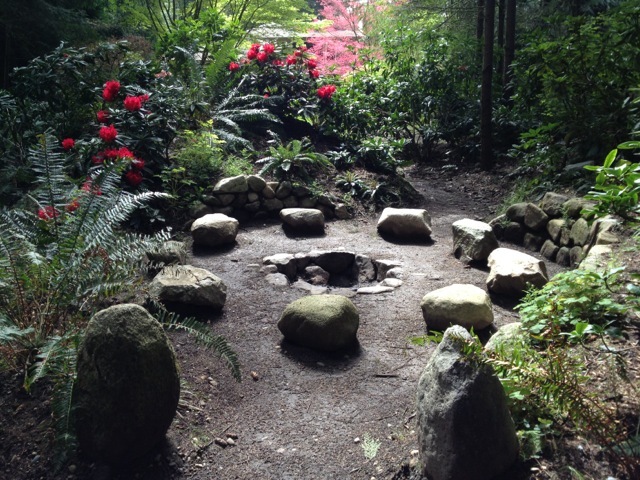 Snuggled in a ring of redwoods and lush ferns, surrounding a fire pit was a circle of stone seats. The fire was lit; we each took our places, called the corners, and drummed, rattled and rolled into the warm moonlit night. The energy that was generated from our primal music and our collective, harmonious presence was magical and not to be forgotten any time soon! I hold the healing vibration and memory of this evening near and dear to my heart. This was one of the best things I ate the entire time I was in Seattle. 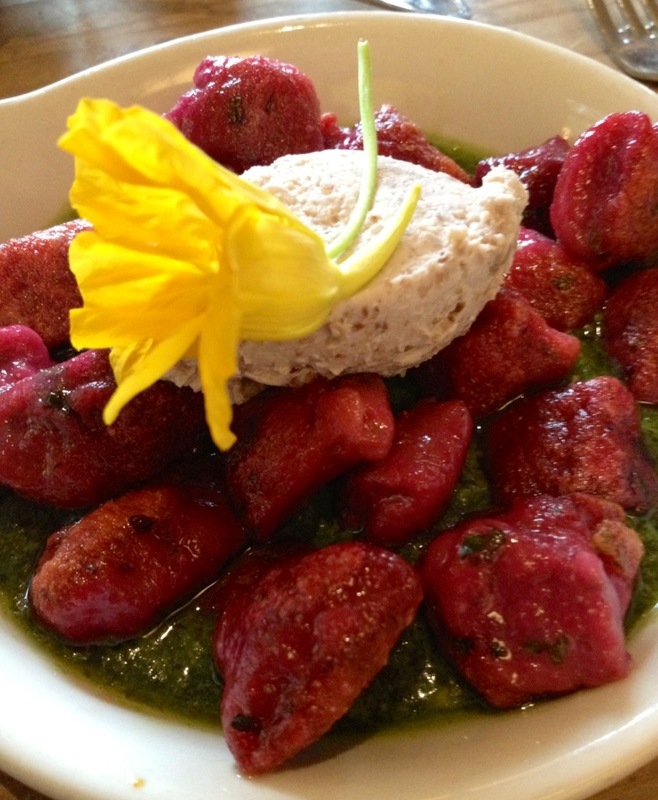 This is Café Flora’s Beet Gnocchi in Pesto with an Herbed Nut Cream, (pictured above) which I shared with Giacinta and my sister, Angel. This was ridiculously delicious and I couldn’t recommend it more! Above is a photo of some of the offerings at Chaco Canyon in Seattle. 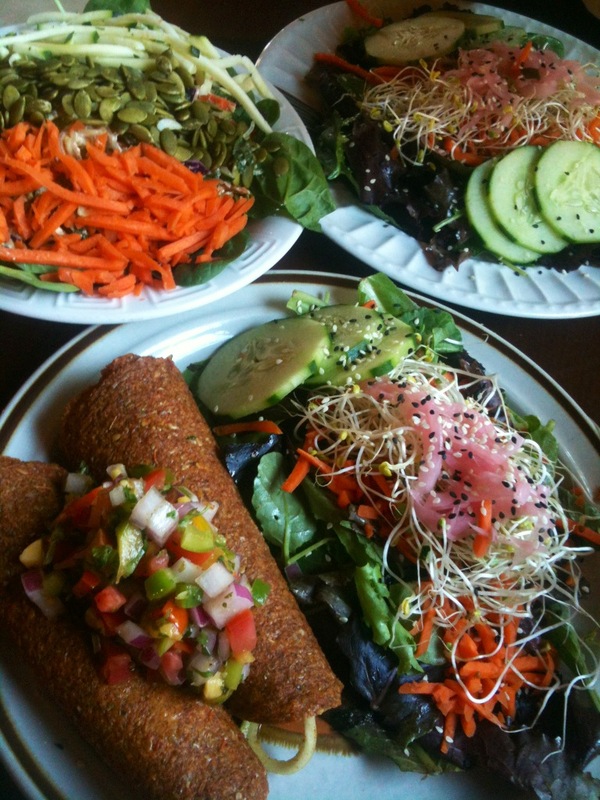 We noshed on raw vegan enchiladas, salads and green juice. Delish! 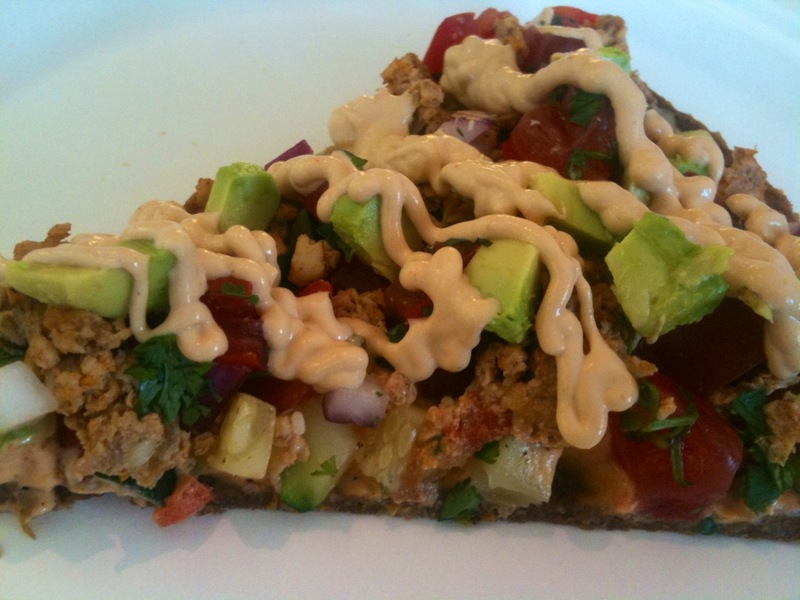 And lastly, the above photo is of Jodee’s raw vegan pizza. Jodee’s, in Green Lake, specializes in raw vegan deserts and smoothies but once in a while she offers up Friday night pizza. This is a yummy slice of her Mexican Pizza. For me, no trip to Seattle is complete without gathering friends for a raw vegan ice cream party and who better to host this type of a gathering than my friend Jeff Rogers, AKA the Naughty Vegan. You can read more about Jeff HERE. Jeff is an amazing ice cream artisan. If you love ice cream, I highly recommend his recipe book, Vice Cream, found HERE. 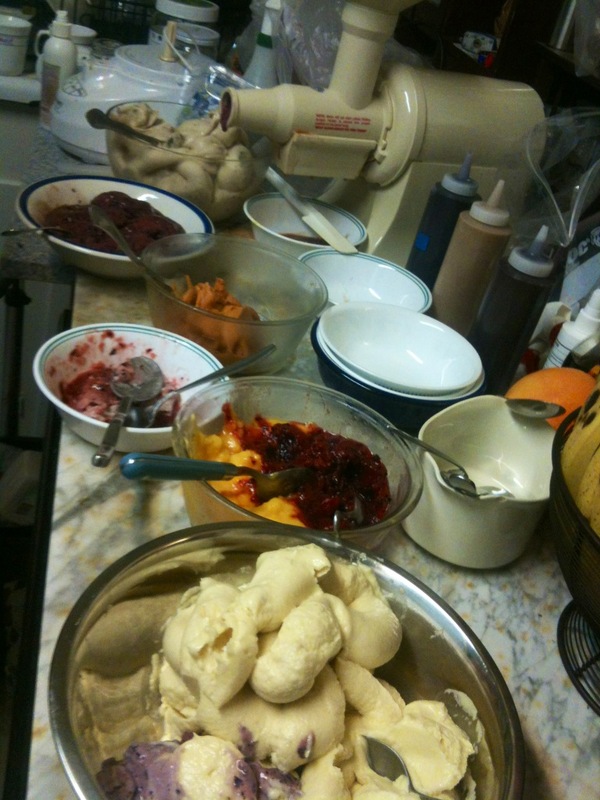 Jeff whipped up a Coconut Peach Ice Cream, Giacinta and I brought frozen bananas and durian, and everyone else brought a variety of frozen summer fruits. 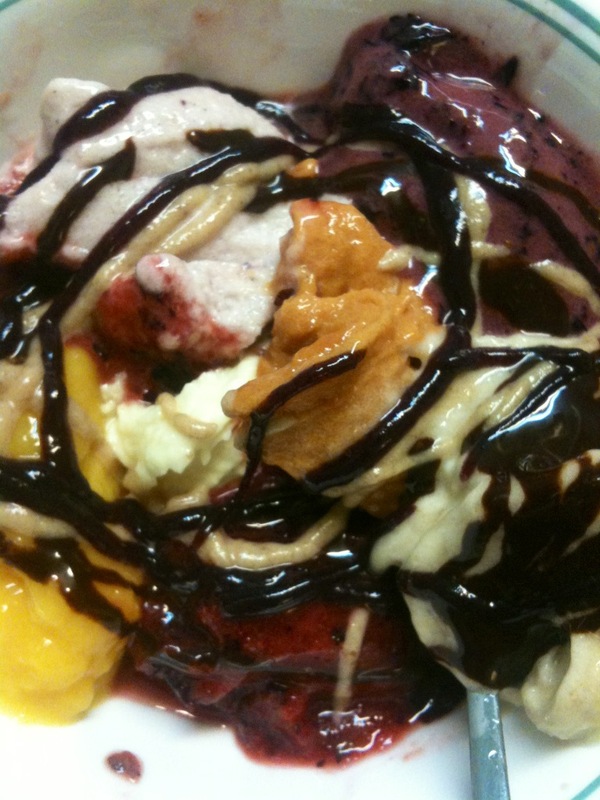 Another friend, who, like myself, graduated as a raw chef from Living Light, brought raw vegan caramel and chocolate sauces to drizzle over all the ice cream. My last day in the Pacific Northwest was spent in Bellingham, one of my favorite places in Washington. I have lived in Bellingham and have spent much time in this area. This magical, quaint town and the surrounding woodlands have crept into my veins and won’t let me go. I love it here. 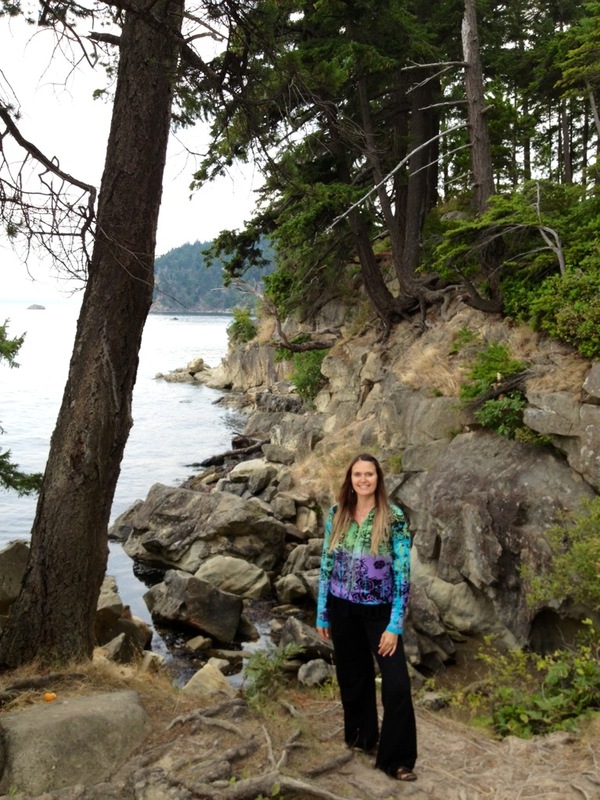 Giacinta and I went to one of my favorite spots, to Larrabee State Park. It was here we soaked up the grounding energy of the boulders, the vitalizing energy of the ocean and the mystical energy of the rich forest. I’ll close this travel journal entry with one of my favorite photos, taken by Giacinta. 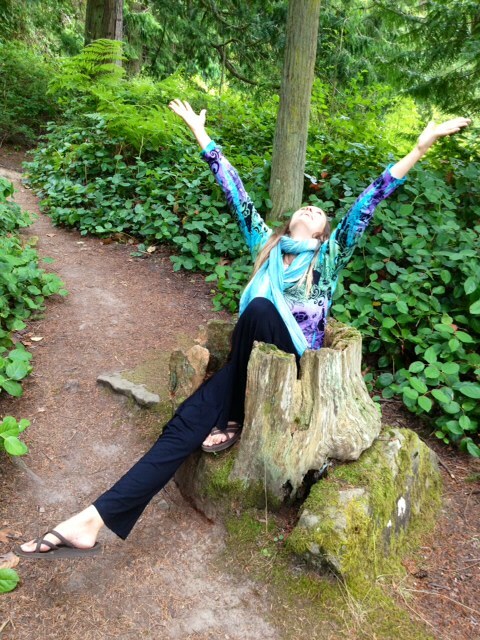 Here I am in my favorite place, in the forest, becoming One with everything around me. There is no place I would rather be, truly! 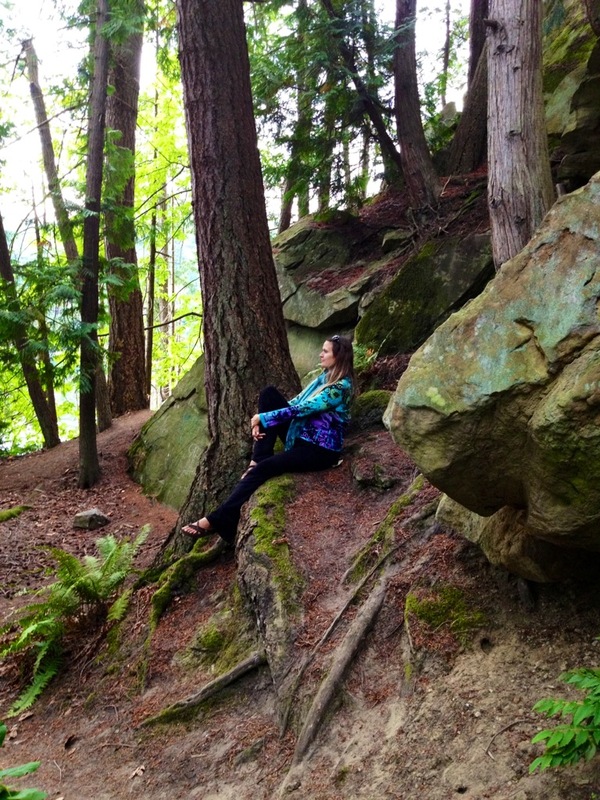 My time in Western Washington this summer was abundantly full of my favorite things. I am brimming with gratitude for everything I experienced and for everyone who shared my journey. I am deeply grateful for Giacinta who walked with me along the way. Until the next time, dear enchanted Washington, I hold you in my emerald heart. Thank you. I love you. In late 2013, I began channeling an angel for the first time. I have always been a natural medium, but channeling spiritual Beings outside myself was something I had not worked specifically to develop. 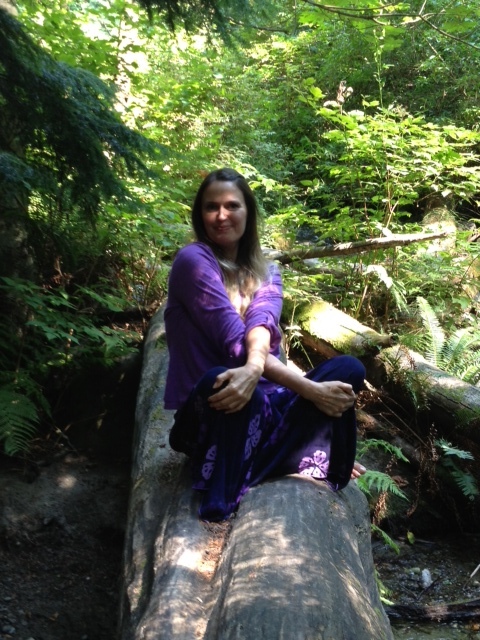 As a Reiki Master Teacher and healer, I open myself and become a channel for healing energy. In Reiki, this energy is called Universal Life Force Energy. I become highly sensitive and intuitive while in a Reiki session, flowing Reiki through me to my client while receiving messages and visions as I work. Over the years, this ability has strengthened and evolved with every Reiki session I give. A few years ago, I experienced a great change. I moved from Seattle, WA, to the high desert of Northern Arizona. You can read more about this HERE. There aren’t two places more diametrically opposed in landscape and climate than the lush, drizzly Pacific Northwest and the dry, sun-soaked desert. It was this move that created a spiritual shift within me, sparking an interested in channeling. It was late spring of 2012 in Prescott, AZ. The sky was an endless sheet of crystal blue forevermore. The sun felt like an unctuous nectar that poured over me, filling every nook and cranny of my soul. 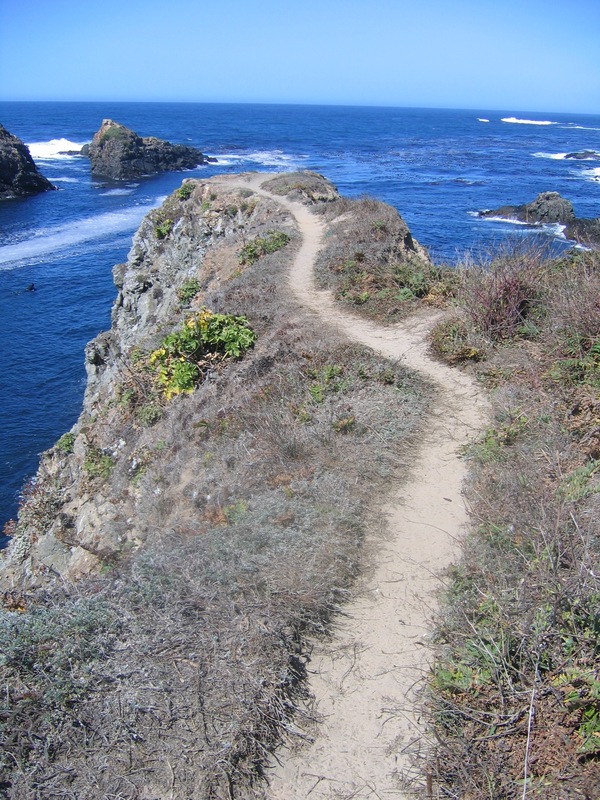 The land released the intoxicating scent of sunbaked sage, dry earth and ponderosa pine needles. Inspired by all this, the energies of the Native American spirit that saturated the vast landscape, and the warm, healing rays of Father Sun, I found myself called to channel or to at least learn more about channeling. It was as if this new, bright world awakened deeper parts of my essence, beckoning me to explore and expand the depths of my spiritual abilities. 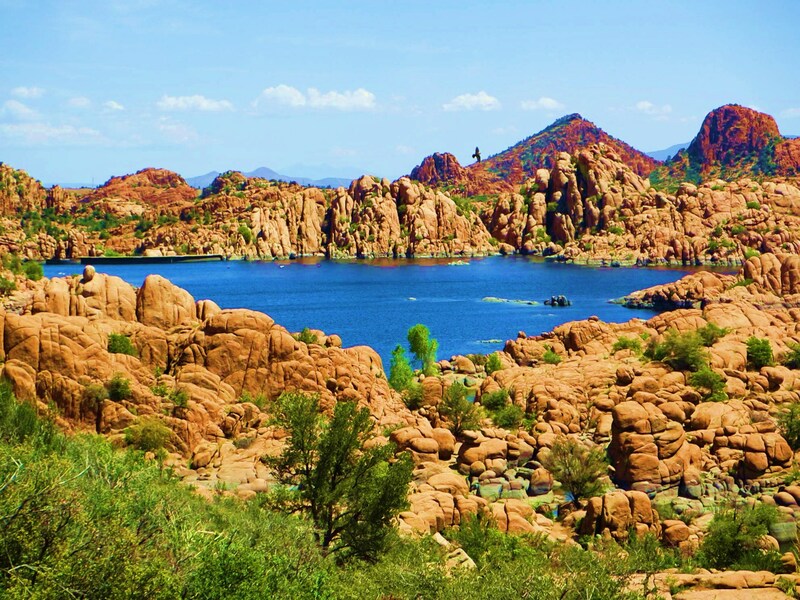 After all, I had chosen to move to Arizona based solely on a spiritual calling. The intention had been set. Fast forward to the winter of 2013. 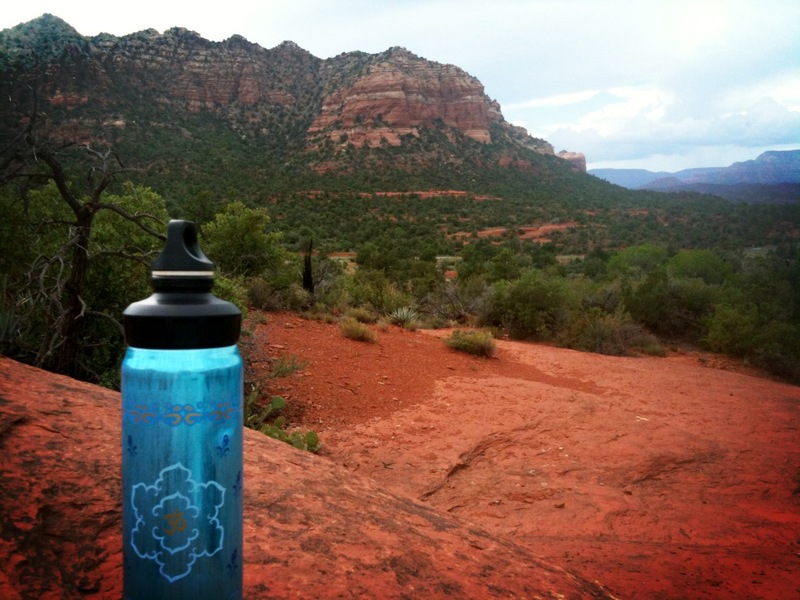 I had been working at the Mountain Spirit Co-Op in Prescott, providing in-person Reiki sessions and spiritual readings. 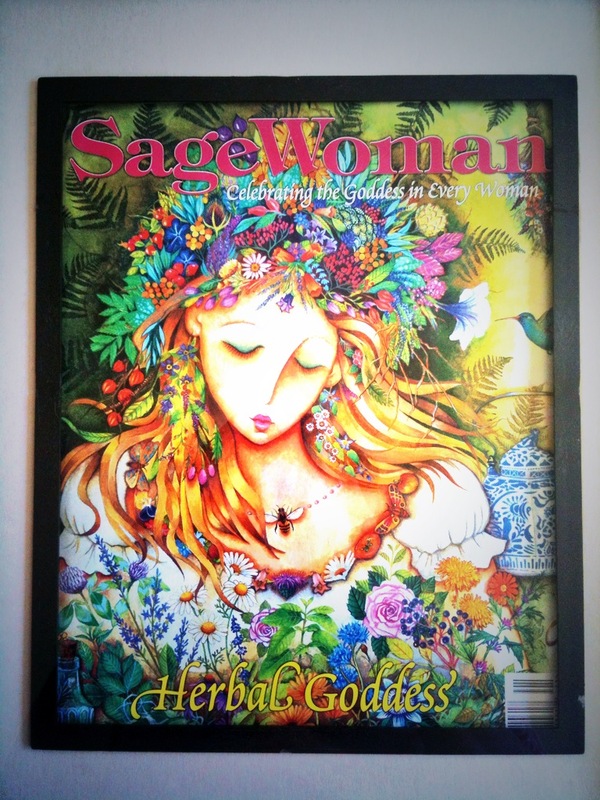 My practice was growing, and I was expanding as a healer. One day, I stumbled upon an old book titled Opening to Channel. I know I just happened to find this book, but it felt more like this book found me. I took it home, read every word and immediately began to channel. It was as if something within me was unlocked. 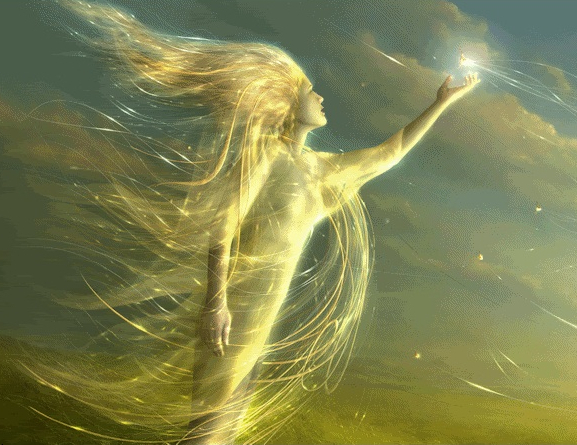 An initiation had taken place, staged by my Reiki practice and supported by divine forces far greater than myself. 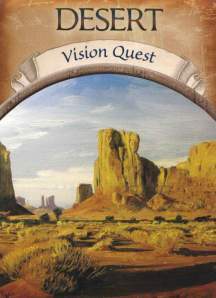 When I first closed my eyes to see if I could channel a high-level guide, what came through shocked and delighted me to my core. What came through was an angel, a female angel. This angel embodies the most beautiful energy I have ever felt. 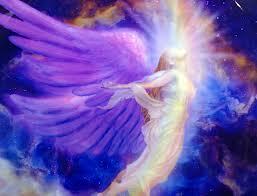 She is pure divine, Godlike energy who emanates purple and gold tones and rainbow light. She is pure unconditional compassion. There aren’t words to define this angel or the way her essence feels. She is beyond description, beyond concept, religion or imagination. I can only say she is PURE celestial LOVE. She is one of my guides and has been for a long time. She has much to tell me and show me. I channel her verbally and also through automatic writing, which has become one of my favorite ways to connect with her. The reason for this is that I am not consciously connected to the information that comes through. If I do not write it all down as it comes (or record it verbally), it is soon forgotten. Often when I am done with a channeling session, I will look back over my writing and am surprised by what I wrote. She has been very instrumental not only in my life but in my Reiki healings. I work closely with her during sessions. 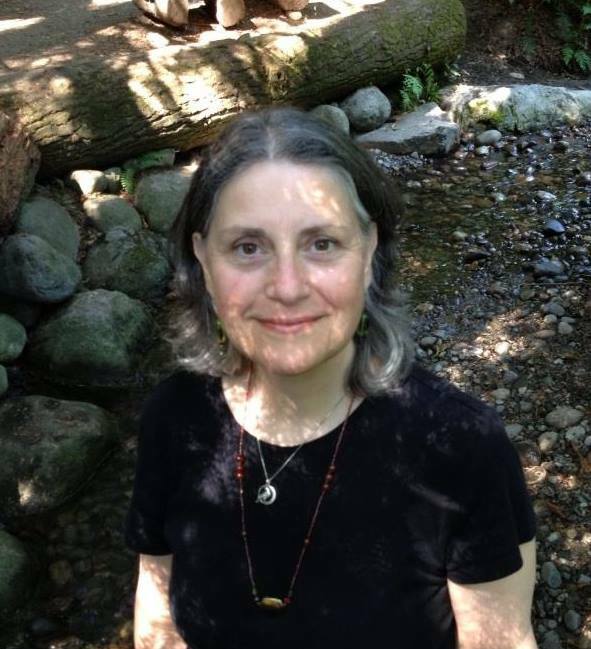 She offers guidance, helps me to better call in my client’s own guides so deeper healing and shifts can take place, and she downloads sacred geometric symbols through me during my Reiki work. This is one of the reasons why the Reiki healing I do now is far more than just Reiki. I am working with high-level energy and geometric energy patterns, colors and crystal frequencies that provide more expansive and spiritually holistic results. I will share more about this angel in future blog posts. She has a name. She is connected to some very specific activities. I feel energetically intertwined with her on many levels, and she has touched my life in amazing and unexpected ways. 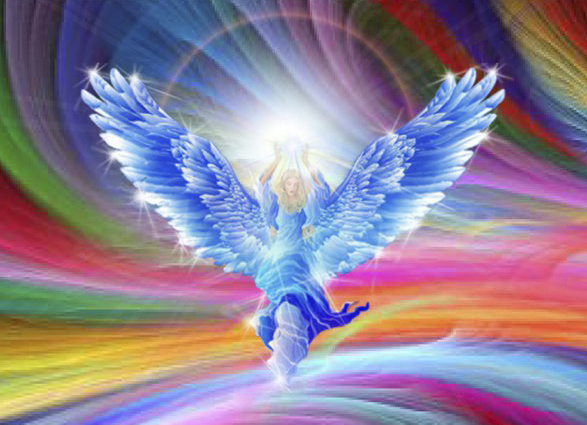 For the first month after I began channeling her, I experienced an angelic attuning. It was as if she was inside me, restructuring my physical and spiritual mind so I may better open myself to her. I would awake in the middle of the night with pangs of flashing golden lights pop and zip through my brain. This lightshow was often accompanied by whizzings and pings of loud sounds. It felt like my brain was literally being re-wired to handle the higher frequency of the angel realm. Another “symptom” of my angelic attunement was that I would awake hearing choir music in my ears and in my brain. It sounded like a tremendous choir of a hundred angels singing. I was very moved by this and by the magnitude and beauty of these collective, harmonious, angelic voices. I knew when I started channeling the angel that my life would forever change. There were too many things occurring around and within me as a result of my direct communication with her. The same thing happened to me the first time I received a Reiki attunement. Everything in my life shifted right into place. Reiki is powerful this way. Things that were no longer serving my higher good were pushed right out and paths that were more aligned with my greater purpose became clear and available. I had an underline feeling this would happen again with the angel’s direct presence in my life. At the time, I didn’t know exactly what that would look like or how it would unfold. But, unfold it did. Much has indeed changed since then. In fact. everything has shifted. I am still shifting.